Structures can, and do, break, and this may be important and sometimes dramatic. It’s critical to determine whether a particular object made from a particular material can carry a particular load. 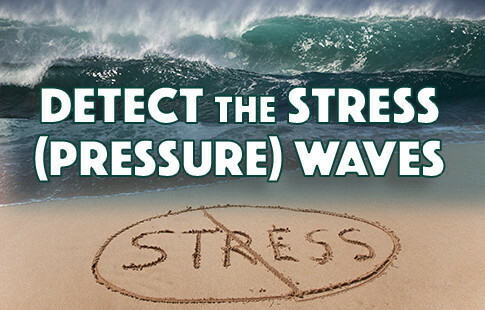 If a true stress is ignored, the cost of not acting is usually far higher than the cost of dealing with the problem earlier. A good example is in ductile materials. The crack moves slowly and is accompanied by a large amount of plastic deformation around the crack tip. The crack will usually not extend unless an increased stress is applied. Geometrical irregularities, such as cracks, sharp corners and holes – which many times are ignored – may raise the local stress. 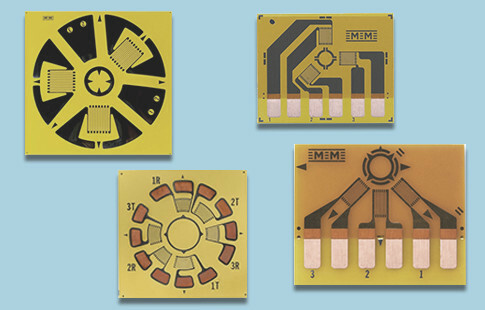 Micro-Measurements offers a wide variety of complementary sensors and designs for stress analysis as well as transducer manufacturers. Occasionally even this selection is not sufficient and there is a need for a custom strain gage. 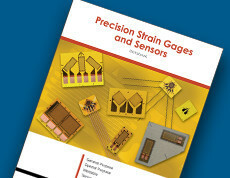 Micro-Measurements produces hundreds of custom strain gage sensors for both stress analysis applications as well as transducers. Our products include Residual Stress Strain Gages; Magnetic Field Gages; Weldable Gages; Shear Modulus Testing Gages; Concrete Embedment Gages; Temperature Sensors; Manganin Pressure Sensors; Crack Detection Sensors; Crack Propagation Sensors; Displacement Sensors; and more. These sensors are used in a wide range of industries and applications, including Aerospace; Automotive; Transportation; Infrastructure; Medical; Oil & Gas; Nuclear; Agricultural; Consumer; and many others. Enhanced performance, combined with significantly improved long-term stability, make these complementary sensors the ideal choice for your application. 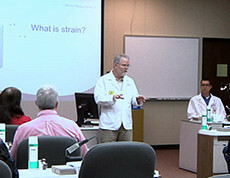 The most widely used practical technique for determining residual stresses is the hole-drilling strain gage (gauge) method described in ASTM Standard E837. 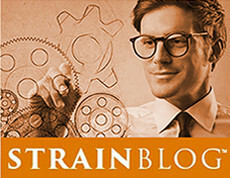 Using this method, a specially configured strain gage rosette is bonded to the surface of the test object. A small, shallow hole is introduced into the structure, through the center of the gage, using a precision drilling apparatus. Strains in the immediate vicinity of the hole are measured, and the relaxed residual stresses are computed from these measurements. 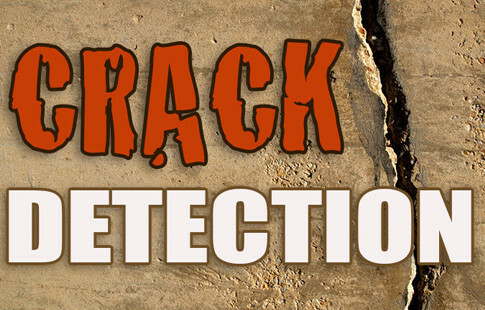 CD-Series Crack Detection Gages are designed to provide a convenient, economical method of indicating the presence of a crack, or indicating when a crack has progressed to a predetermined location on a test part or structure. Crack Propagation Gages provide a convenient method for indicating rate of crack propagation in a test part or structure. The CPA, CPB, and CPC patterns consist of a number of resistor strands connected in parallel. When bonded to a structure, progression of a surface crack through the gage pattern causes successive open-circuiting of the strands, resulting in an increase in total resistance. Intense, time-varying electromagnetic fields with steep gradients in field strength can cause troublesome noise in strain gage (gauge) circuits. In severe magnetic environments, with low signal levels, the noise amplitude may be several times larger than the strain signal from the gage. Micro-Measurements H-Series non-inductive strain gages have been specially designed to minimize noise pickup in the gage grid due to electromagnetic fields. 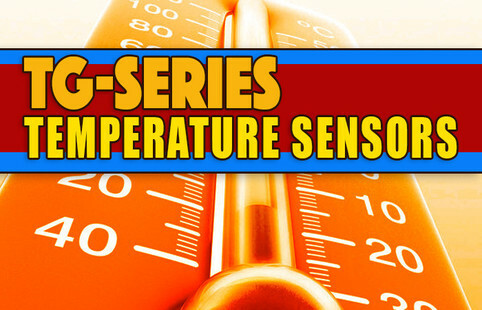 H-Series strain gages consist of two identical grids, with one stacked directly above and insulated from, the other. The upper and lower grid elements are connected in series so that current flows in opposite directions through the two grids. With this arrangement, noise voltages induced in the grid tend to be self-cancelling. The counter-current principle employed in H-Series gages is particularly effective against magnetic field gradients parallel to the test surface. H-Series strain gages have been used very successfully in fusion research applications and similar environments with flux densities to 50,000 gauss. The Micro-Measurements Cable-Extension Displacement Sensor (CDS) provides a voltage signal linearly proportional to the extension of a retractable stainless steel cable. Used for indicating the displacement of the test structure, member or part to which the cable is attached, installation is quick and easy. Simply attach the base of the sensor to a reference surface, the cable to the component being displaced, and the electrical leads to any instrument accepting strain-gage or high-level signal inputs. 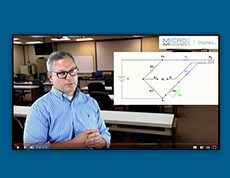 Micro-Measurements Linear Displacement Sensors (HS Series) use a fully active 350-ohm strain-gage bridge to sense spindle displacement, giving infinite resolution and excellent linearity. They are compatible with all standard strain-gage instrumentation with bridge excitation from 2 to 10 volts. 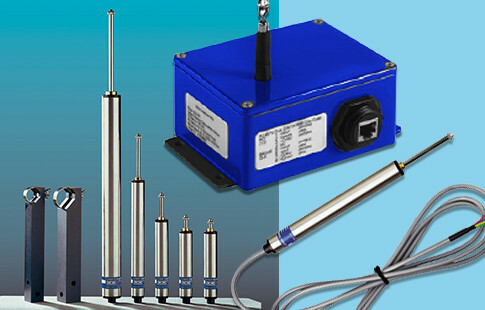 With a selection of models having full-scale ranges from 1/4 inch (5 mm) to 4 inch (100 mm), Linear Displacement Sensors feature a unique design that produces maximum operating forces of less than 1 lb. (4.4 N). 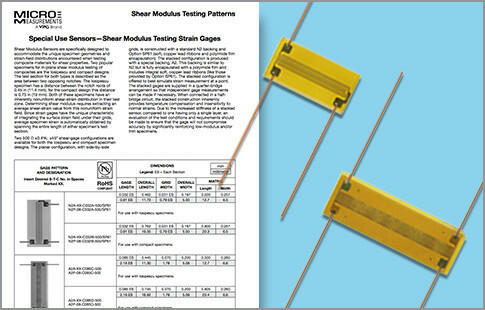 Shear Modulus Sensors are specifically designed to accommodate the unique specimen geometries and strain-field distributions encountered when testing composite materials for shear properties. Two popular specimens for in-plane shear modulus testing of composites are the Iosipescu and compact designs. Both of these specimens have an inherently non-uniform shear-strain distribution in their test zone. Determining shear modulus requires extracting an average shear-strain value from this non-uniform strain field. 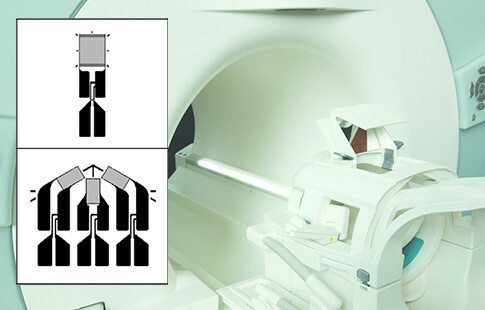 Since strain gages have the unique characteristic of integrating the surface strain field under their grids, average specimen strain is automatically obtained by spanning the entire length of either specimen’s test section. 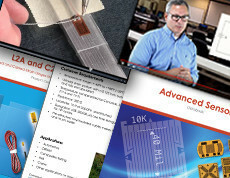 Micro-Measurements resistance temperature sensors are constructed much like wide-temperature-range strain gage (gauge) sensors. The standard sensors use nickel or nickel/Manganin rolled foil grids, although special-purpose sensors are also available in Balco® alloy or copper foil grids. 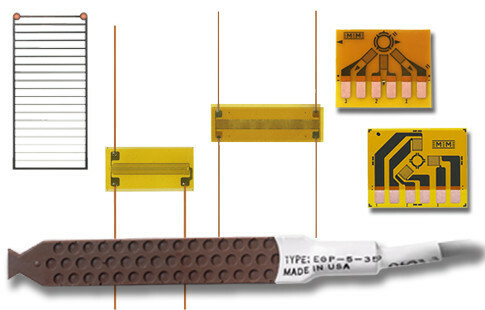 These temperature sensors are bonded to structures using standard strain gage installation techniques, and can measure surface temperatures from –452° to approximately +500°F (–269° to +260°C). Because of their extremely low thermal mass and the large bonded area, the sensors follow temperature changes in the structural mounting surface with negligible time lag. 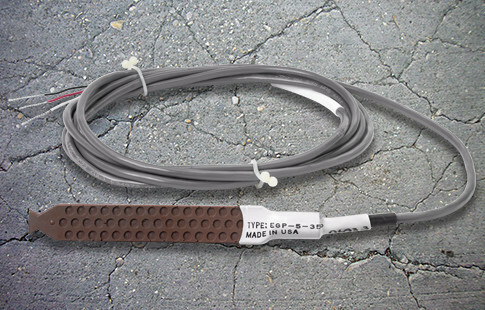 The EGP-Series Embedment Strain Gage (gauge) is specially designed for measuring mechanical strains inside concrete structures. The sensing grid, constructed of a nickel-chromium alloy (similar to Karma), has an active gage length of 4 inch (100 mm) for averaging strains in aggregate materials. A rugged 5 inch (130 mm) outer body of proprietary polymer concrete resists mechanical damage during pouring, minimizes reinforcement of the structure, and provides protection from moisture and corrosive attack.